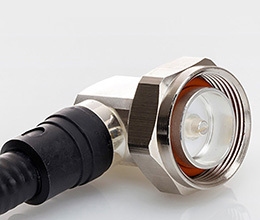 The compact, installation-friendly 4.3-10 connector series has been developed originally as a coax connector for harsh environments with space constraints. 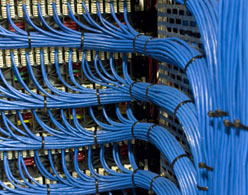 In mobile communication networks, more and more legacy connectors are being replaced by the 4.3-10. The new 4.3-10 MT now offers the benefits of the innovative connector housing also in fiber optic networks. Customers can choose from three different locking mechanisms that all fit to the same MPO/MTP® panel receptacle: Screw, handscrew and push-pull. Precisely polished MT ferrules ensure the excellent contact of all twelve parallel optical fibers, which is verified by regular interferometer testing. The ferrules are available in the standard physical contact version for multimode fibers and in an 8° angled physical contact version for even better return loss performance with singlemode fibers. The 4.3-10 MT product portfolio includes pre-terminated fiber optic cables as well as MPO/MTP® panel receptacles which can be combined with standard MPO/MTP® products. What does “UL” actually stand for?